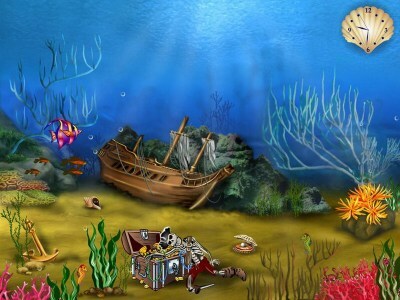 Pirates Treasures screensaver will transform your desktop into a wonderful underwater world. This world is very smooth and detailed: corals, algae, shells, marine life and pirate schooner! And of course pirates treasures! Make an exciting journey through underwater world of Caribbean Sea, not leaving your PC. Download free pirates screensaver!